Buckingham Palace is the official London residence of the sovereign, one of the most iconic images of London, and a fantastic day out. 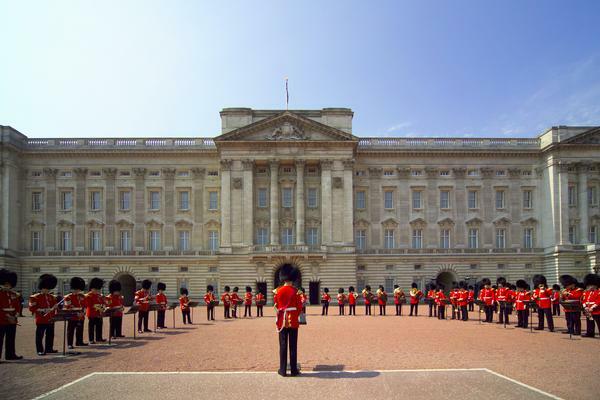 Whether you just come to see this famous landmark from outside, or you buy tickets to go inside and marvel at the opulent state rooms, a visit to Buckingham Palace is something you will never forget. What's inside Buckingham Palace? A lot more than meets the eye - far more than the 19 state rooms you can see if you take one of the tours. There are 775 rooms in the Palace. 19 of these are the main State Rooms that are open to the public during August and September each year. There are also 52 Royal and guest bedrooms, 188 staff bedrooms, 78 bathrooms and 92 offices! There's more than 77,000 square metres of floor area - by comparison the average new-build UK home has a floor area of just 76 square metres (though this includes houses and flats, and our new homes are the smallest in Europe) - but Buckingham Palace is roughly 1,000 times that size. 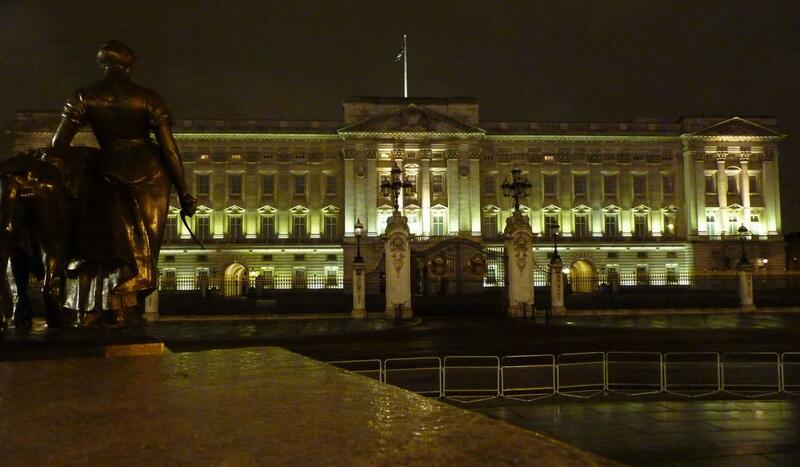 How many windows in Buckingham Palace? An amazing 760! There are also more than 1,500 doors! That's a lot of windows to clean and hinges to oil - the windows are cleaned every 6 weeks. There are also more than 40,000 light bulbs. The Palace also contains a swimming pool, a chapel, a doctor's surgery and even a post office. There are more than 350 clocks and watches - and two full time members of staff to wind them and keep the collection in good working order. The largest single room is The Ballroom, at 36 metres by 18 metres, and 13.5 metres high. Of course the Queen doesn't have all this space to herself: More than 800 members of staff work in Buckingham Palace, and over 50,000 people visit the Palace every year as guests of the Queen, at receptions, garden parties and other official functions. That doesn't include the members of the public who visit the state rooms when they are open each summer. Buckingham Palace is now going green, with a CHP (combined heat and power) system to cut energy use, as well as double glazed skylights, and some LED lighting to reduce electricity consumption. When it passed to George IV in 1820, Nash was commissioned to make alterations to the palace. The main block was retained but a new suite of rooms was added facing west into the garden, doubling the size of the building. The French Neo Classical style was the influence for the design. The re-modelled state rooms remain unchanged from Nash's original design. Queen Victoria was the first monarch to take up residence in 1837. Once again extensive changes took place, one of these was to have the huge arched gateway removed to Tyburn, where it remains, known as Marble Arch. Today Buckingham Palace is used not only as the home of The Queen and The Duke of Edinburgh, but also for the administrative work for the monarchy. It is here in the state apartments that Her Majesty receives and entertains guests invited to the Palace. 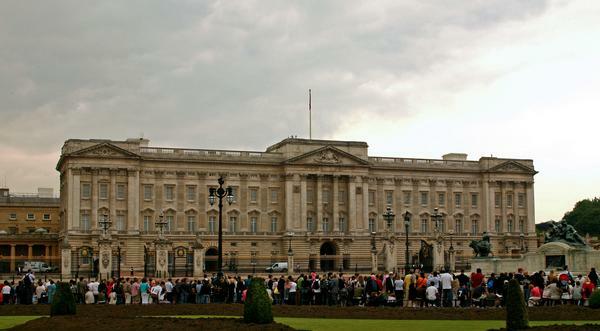 Buckingham Palace was first opened to the public in 1993. 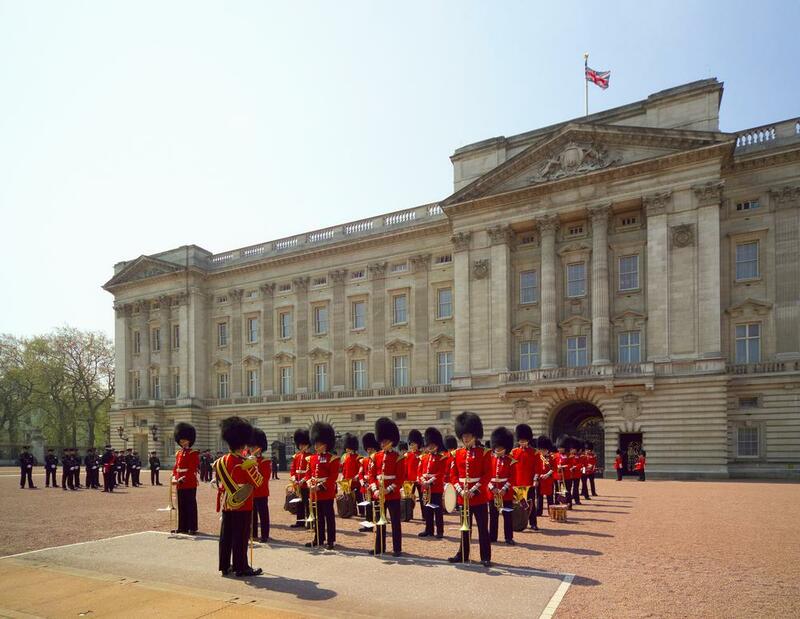 For many people, visiting Buckingham Palace is the highlight of their trip to London - a once-in-a-lifetime opportunity to see behind the usually closed doors of the Queen's official London residence. As recently as 1992, members of the public could only gaze at this magnificent building from outside, and wonder what lay within. However, the Palace is only open to visitors during the Queen's annual trip to Scotland, in August and September each year - if you are visiting at any other time of year you'll either have to settle for enjoying the exterior of the building or you may be able to splash out on one of the Exclusive Buckingham Palace Tours which are sometimes available in other months. Getting to the palace for your visit is easy - Buses 211, 11, C10 and C1 will take you to the palace. There are also several tube stations nearby, including Green Park, Victoria, St James's Park and Hyde Park Corner (see directions below for more details). Entry to the palace is usually timed, with admissions every 15 minutes, unless you have a "Royal Day Out" ticket, which will be valid throughout the day. There's even a family audio guide available (in English) to help families with children between 5 and 11 get the most from their visit. The entrance to the Palace is from Buckingham Palace Road, via Ambassador's Court. 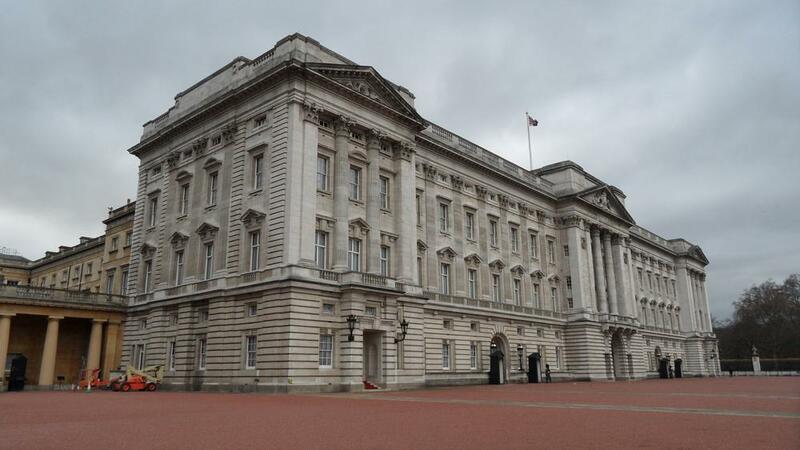 Your visit to Buckingham Palace will include a tour of the nineteen magnificent state rooms, used by the Queen to receive the most important heads of state from around the globe. These are every bit as magnificent as you might expect - lavishly appointed with some of the finest antique furniture and fine art to be found anywhere in the world, including paintings by Rembrandt, and sculpture by Canova. Audio guides are included in your tour, and are available in many languages. On the original site of the old entrance hall, sits the Grand Hall in which you will see the aptly named Grand Staircase with its ornate floral balustrade of gilt-bronze. Walking through the Guard Room, you will pass exceptional Gobelin tapestries on the walls. In the Green Drawing Room, the walls are covered with vibrantly coloured silk, which compliments the gilded and coved ceiling perfectly. Queen Charlotte's salon was on this site. The Throne Room is a splendid sight - a magnificent spectacle of scarlet and gold. As its centrepiece are the chairs used at the coronation of Her Majesty The Queen in 1953. The Ballroom which is 122 feet long, was opened in Queen Victoria's reign in 1856 to celebrate the end of the Crimean war. Buckingham Palace is home to one of the finest collections of art in the country, and in the Nash-designed picture gallery you can see wonderful paintings by Rembrandt, Canaletto, Vermeer, Rubens and many other art treasures. The Royal Collection is held in trust for the nation by the Queen, and is rightly regarded as part of Britain's National Heritage rather than a private collection. You will see more paintings in the State Dining Room, as portraits of several monarchs hang on the red silk damask walls. The Prince Regent purchased the regency dining chairs in 1813 for use at his home, Carlton House. The Blue Drawing Room is another of Nash's stunning creations. If you look closely you'll see that the thirty onyx columns are in fact fake. The Sevres porcelain however is the real thing - it was made for Napoleon. When you're in the domed Music Room, go to the semi-circular bow window - it offers and excellent view of the grounds. Four royal babies have been christened by The Archbishop of Canterbury in this room. Many people consider the White Drawing Room to be the most magnificent room of all, with its English cut-glass chandeliers suspended from the exquisite ceiling, and the delicate colours of the French antique furnishings which can be appreciated against the gold walls. At the end of the hall, the Minister's stairs link the state rooms on this principal floor to the Marble Hall - the heart of the original Buckingham House. Clad in Italian marble, you will see fine sculptures, including three works by Antonio Canova. There is usually a special exhibition also included in the tour, which highlights an aspect of Royal life. In 2013 the exhibition celebrated the 60th anniversary of The Queen's coronation in 1953 with fascinating displays in the palace's ballroom. You will also be able to tour the Buckingham Palace Garden - which is an oasis of tranquility and biodiversity in the centre of London - with more than 350 wild flowers, a lake, and superb views of the palace itself. Visiting Buckingham Palace can be thirsty work - your visit will probably last more than 2 hours, so why not call in at the superb Garden Cafe - serving tea, coffee, sandwiches and cakes, it's a great place to enjoy some refreshments. Of course no trip would be complete without visiting the Buckingham Palace shop which has a superb range of quality souvenirs many designed exclusively for the Royal Collection. 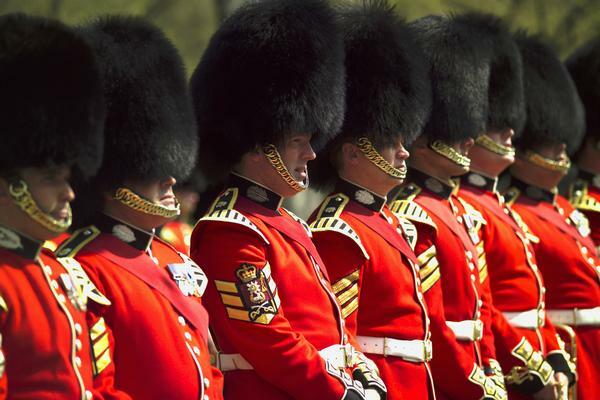 Don't forget that during the summer, the Changing of the Guard ceremony takes place at the front of the Palace; it's a spectacle well worth seeing. 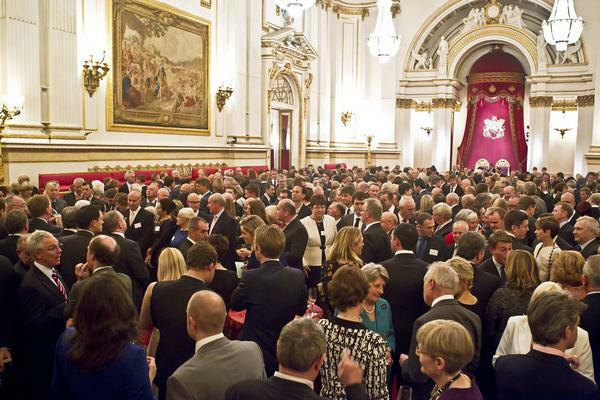 First of all, you can buy tickets direct, either online from the official Royal Collection website www.royalcollection.org.uk or by telephone (+44) (0)20 7766 7300. You can also buy your tickets on the day from the ticket office. 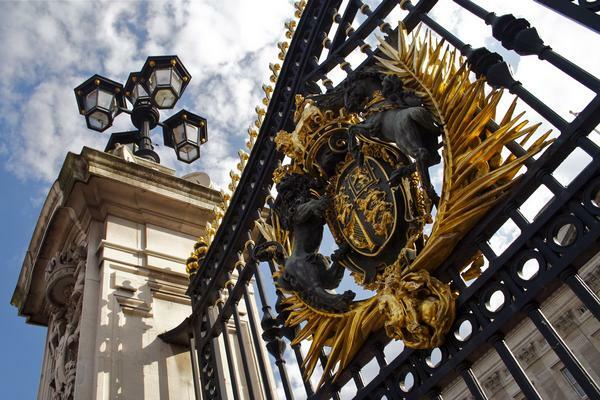 You can buy tickets for the state rooms only - or a "Royal Day Out" ticket which will also allow entry to the Royal Mews and the Queen's Gallery. If you're a UK taxpayer, you can ask for your purchase to be treated as a donation, which allows the Palace to claim Gift Aid tax relief on the price of your tickets. If you don't want to buy your tickets direct, they are also available through various other websites and booking agencies. When booking direct, you will be asked to specify the time of your visit at the time of booking. If you book through an agency, you don't have to choose the time of your visit until the day itself, when you exchange your voucher for a timed ticket at the ticket office, potentially giving you a bit more flexibility. If you plan to return to the palace within a year, then buying direct offers a big advantage: Tickets bought direct can be converted into a 1 year pass, offering complimentary re-admission - by asking for your tickets to be stamped on the day. This ticket gives admission to The State Rooms, Buckingham Palace, The Queen's Gallery, Buckingham Palace and the Royal Mews. All prices include an audio tour. Tickets may be purchased on the day from the Ticket Office at the Visitor Entrance, Buckingham Palace Road, open 09.15am - 5.00pm. A booking fee of £1.25 per ticket applies. All major credit cards accepted. 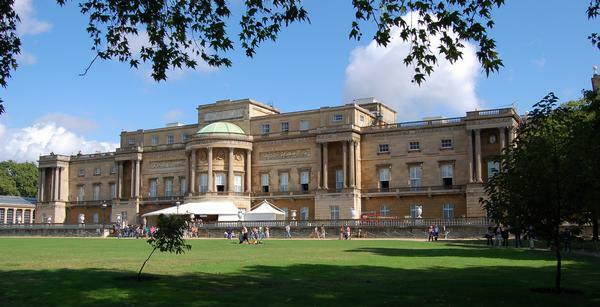 Tickets purchased directly from the Royal Collection can be converted into a 1-Year Pass. Ask the ticket office to stamp your ticket on your first visit. The first thing any visitor needs to know is how to get there - fortunately, it's not difficult to find: The public entrance is on Buckingham Palace road itself. By Taxi: Any black cab in London will be able to take you to directly to the Palace - it's probably the easiest way to get there, if not always the cheapest. By Car: The palace is within the London congestion charge zone, so if you want to drive close to the palace, you will need to pay the congestion charge. 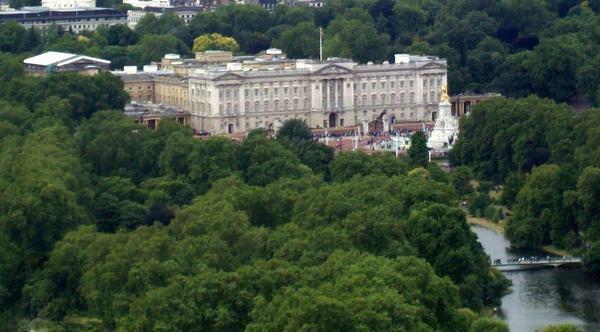 There is no public car parking at the Palace itself, but there are public car parks nearby, in Arlington Street, and an NCP car park in Carrington Street, both about 10 minutes walk from the Palace. By Train: The nearest station to the palace is London Victoria, which is about half a mile away. By Bus: Bus numbers C10, C1, 211 and 11 all stop near the Palace. Given the popularity of the Palace as a visitor attraction, many people are surprised to discover that there isn't a dedicated Buckingham Palace tube station. Victoria, currently the busiest tube station on the whole underground network, is on the Victoria, District and Circle lines, as well as being an overground railway station, is probably the nearest tube station to the Palace. 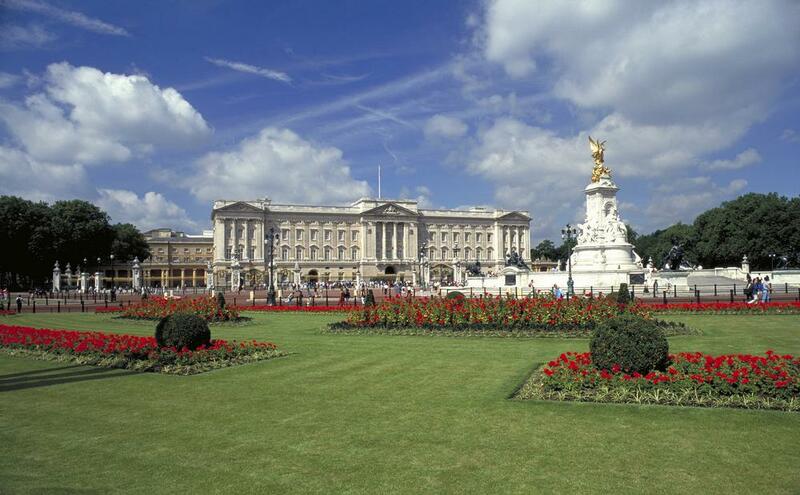 A walk of around half a mile up Buckingham Palace Road and Buckingham Gate will take you to the palace. St James's Park tube station on the Circle and District lines. Use the Petty France exit from the station, then head West to Buckingham Gate, and NorthWest to the Palace - this is about half a mile. Hyde Park Corner tube station on the Piccadilly line is also convenient, as you can have a pleasant walk along Constitution Hill to the Palace. Finally, Green Park tube station to the North of the Palace is on the Jubilee, Piccadilly and Victoria lines. Green Park is also around half a mile's walk from Buckingham Palace, but it offers the chance of a pleasant walk through Green Park itself, so it's a great choice if the weather is fine. You may be interested to know that although most UK postcodes cover several buildings within a street, the Buckingham Palace postcode is unique to the Palace itself. We can confirm that entering SW1A 1AA into the current TomTom SatNav software for the iPhone, does correctly point to Buckingham Palace, although it calls it "Unnamed Road, Westminster"!